Bricks and Water endeavour to provide the highest levels of customer satisfaction. We value our reputation and will not tolerate any of the 'bad practices' associated with our industry. If you have any cause for complaint please contact us and your concern will be dealt with immediately. For the purpose of these terms & conditions the following words shall have the following meanings: (a) “The Company” shall mean Bricks & Water Limited. (b) “The Customer” shall mean the person or organisation for whom the Company agrees to carry out works &/or supply materials. The Operative or Engineer shall mean the representative appointed by the Company. Where a written estimate has been supplied to the Customer the total charge to the Customer referred to in the estimate should not exceed the actual time taken by more than 20% but may be revised in the following circumstances:— (i) if after submission of the estimate the Customer instructs the Company (whether orally or in writing) to carry out additional works not referred to in the estimate. (ii) if after submission of the estimate there is an increase in the price of materials. (iii) if after submission of the estimate it is discovered that further works need to be carried out which were not anticipated when the estimate was prepared . (iv) if after submission of the estimate it is discovered that there was a manifest error when the estimate was prepared. Material Collection. Collection of non-stock items is chargeable but: (a) Time must be kept to a minimum & reasonable. (b) If the collection time is likely to exceed 45 minutes the customer must be additionally informed of the circumstances. (c) Only one engineer is allowed to leave the job to collect parts. The company will not guarantee any work in respect of blockages in waste & drainage systems etc. The company will not guarantee any work undertaken on instruction from the customer & against the written or verbal advice of the operative/engineer. Work is guaranteed only in respect of work directly undertaken by the company & payment in full has been made. Any non-related faults arising from recommended work which has not been undertaken by the company will not be guaranteed. The company shall not be held liable or responsible for any damage or defect resulting from work not fully guaranteed or where recommended work has not been carried out. Work will not carry a guarantee where the customer has been notified by the operative either verbally or indicated in ticked boxes or in Comments/ Recommendations of any other related work which requires attention. 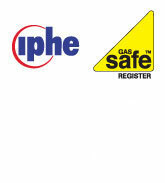 The customer shall be solely liable for any hazardous situation in respect of Gas Safe Regulations or Gas Warning Notice issued.